Just one bite and you will be hooked. This delicious combination of the sweet grapes and creamy cheese will change the way you approach a grilled cheese. I like to cut the sandwiches in half and serve them as appetizers at a party. Cut your baguette into at least 24 slices of bread. When you are cutting, you want your knife at a 45 degree angle as this will make for a prettier cut of bread. Cut your grapes in half. Smear one side of each piece of your baguette with butter. To assemble: on the un-buttered side of bread, place one long piece of brie with 4 of the grape halves grapes facing downward on the brie. Close up the sandwich. In a non-stick sauté pan on medium-high heat, sear the bread until it is golden brown and the cheese is oozy. After about 3 minutes, flip and sear the other side until the bread is golden brown. Serve the whole sandwich, or cut them in half for an appetizer portion! Awesome recipe, Caitlin! I love putting jelly or jam on my grilled cheese sandwiches, but I've never tried grapes. What a great idea! High-5! I'm in love with this recipe! brie cheese goes very well with fruit, and you combined it in a delicious sandwich! Again, a beautiful presentation! mmmmm Caitlin! What a different and delicious sounding version of an american favorite. I have never had Brie so it would be a great new experience for me - love the appetizer idea too! 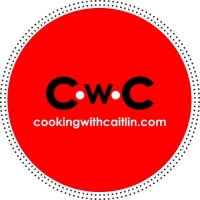 Like cookingwithcaitlin's recipes? Never miss an upload!